National Burrito Day 2019 is here! Check out our list of free and cheap food to score today April 4, 2019. Also, don’t forget to check your local restaurants’ social media pages for deals on their burritos! Free and cheap food for the made-up burrito holiday! Baja Fresh: Win a $50 gift card andget $5 burritos Thursday when you show a bar code posted on their facebook page. Chipotle: Get free delivery on all orders $10 and up Thursday on all orders placed through the Chipotle app or website, or through DoorDash. Del Taco: With the Del App and a minimum $5 purchase, get a free half-pound Bean & Cheese Burrito for National Burrito Day Thursday. GrubHub – $10 off $15 delivery order from your favorite local restaurant. El Pollo Loco: Buy one burrito, get one free Thursday with a coupon. 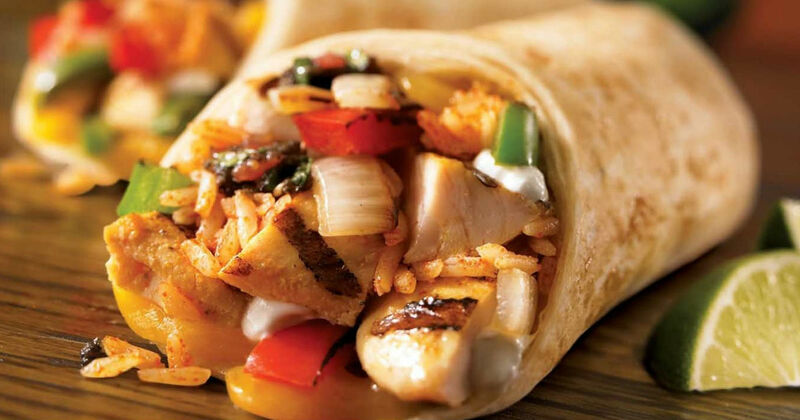 Rubio’s Coastal Grill: Get any burrito for $5 with the purchase of a drink. Taco John’s: Get two for $4 beef burritos and $1 bean burritos. QDOBA Mexican Eats: Today only QDOBA is offering rewards members triple points. Find out how to score even more free food with our master list here.